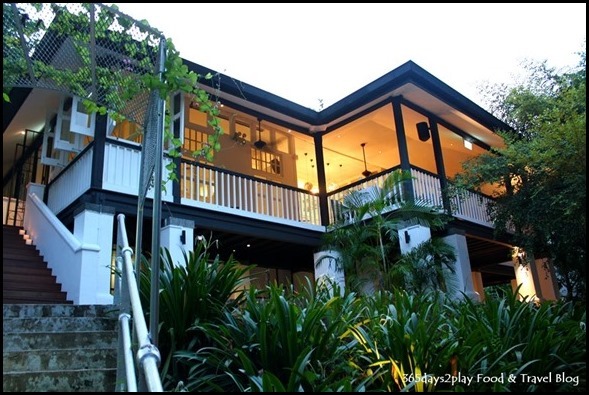 Lewin Terrace, located on Fort Canning Hill, is one of those fine-dining restaurants that boasts a very historic location but yet is a mere stone’s throw away from the city centre. Surprise surprise, it is but a 10 minute walk from City Hall MRT station! Admittedly, finding it may be a bit of a problem, but if you know to stop your taxi just before the Philatelic museum, the stairs leading to the black and white conservation building which houses Lewin Terrace is just behind the museum and the fire station! Thankfully, I am familiar with this area, having worked in the vicinity for several years. I’ve never found it a problem to get here, even on my 1st day of work, because I know my museums well! 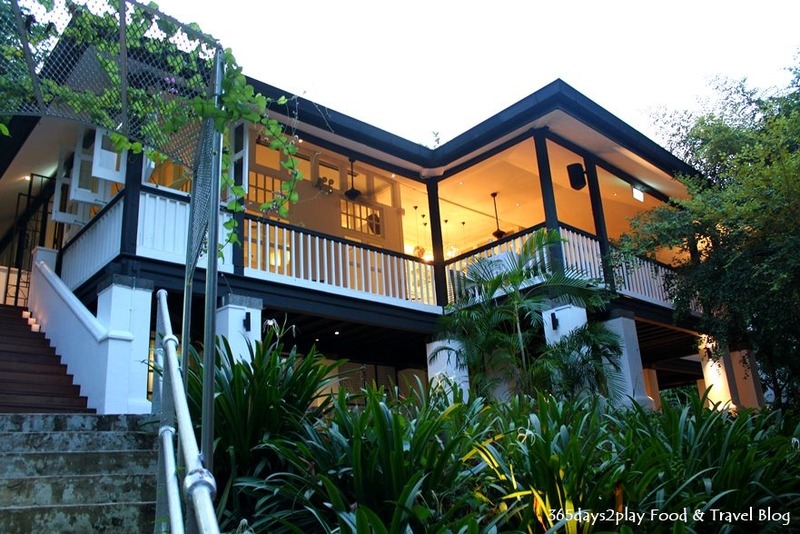 This is the beautiful Lewin Terrace bungalow that greets you after you have ascended the stairs. This was the former residence of the Chief who headed the Central Fire Station on Hill Street. You might vaguely recall that the restaurant Flutes used to occupy this building previously. Here’s a good spot to take all those selfies, if you manage to arrive before nightfall. But be careful because you might find a friendly face popping out of the veranda to welcome you warmly with a “HELLO!” just as you are admiring yourself in your iPhone, as was what happened to me. 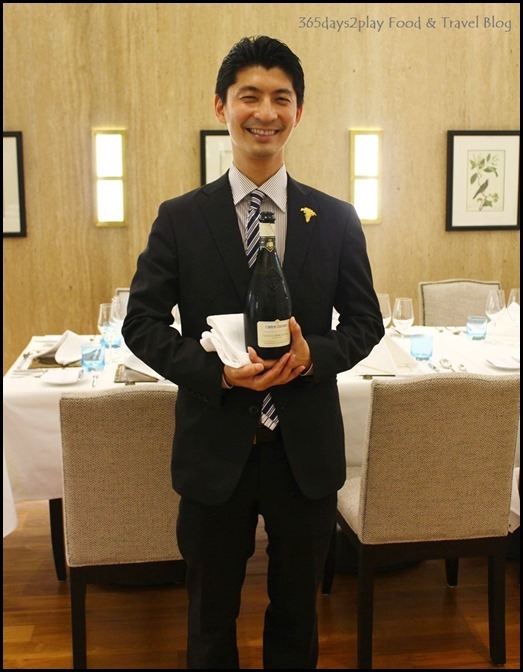 The friendly face and voice belongs to none other than Mr Daisuke Kawai himself, the general manager and chief sommelier of Lewin Terrace. You can tell he’s a friendly person right? The Japanese are ever so polite and eager to ensure you have a good time, you know you are in good hands when it comes to service standards. Beneath his unassuming exterior, Daisuke boasts an arsenal of sommelier awards, including Top Wines Best Sommelier of the Year in the Singapore World Gourmet Series Awards of Excellence 2013. 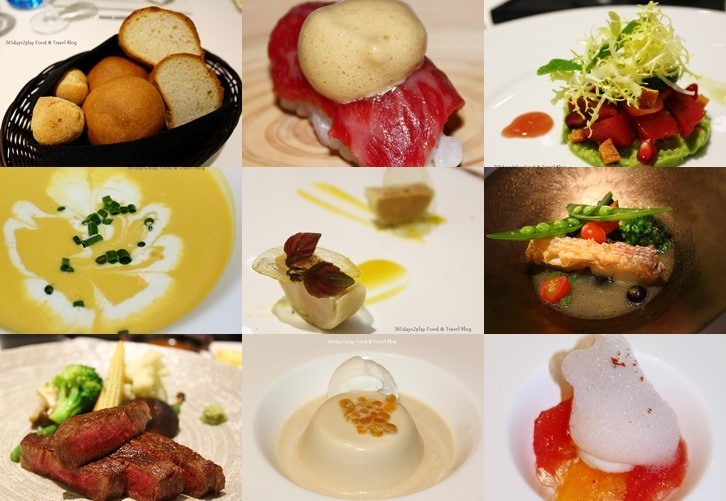 We had a sampling of the tasting menu available at Lewin Terrace, prepared by Chef de Cuisine Ryoichi Kano and team. 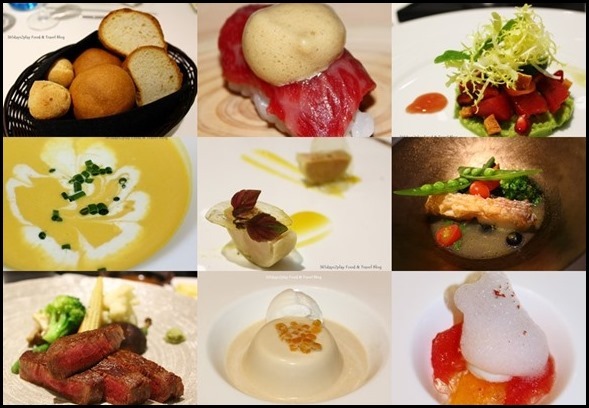 Chef Ryoichi loves experimenting with different foods, spices and tastes, which is evident in the French Japanese inspired cuisine that you will find at Lewin Terrace.